Built on Mazak’s PALLETECH automation expertise, the machine will feature a Multi Pallet Pool (MPP) which offers high-speed pallet transfer and extended unmanned running, compared to twin or six pallet automation systems. The machine is equipped with a 16 station MPP, but a smaller 10 pallet version, that is field expandable, is available. The MPP has an economic footprint – up to 37% smaller than a comparable PALLETECH system – and is controlled using the SmoothG CNC, which is equipped with Mazak’s SMOOTH MPP software application. Smooth MPP facilitates advanced scheduling functions, faster analysis of production results and more efficient system utilization and can be accessed remotely on PCs and smart phones. For those manufacturers keen to embrace Industry 4.0 and drive greater connectivity between their production operations, the unrivalled level of real-time data analysis provided by SMOOTH MPP can translate into tangible productivity benefits such as reduced non-cutting time and lower indirect labour expenses. 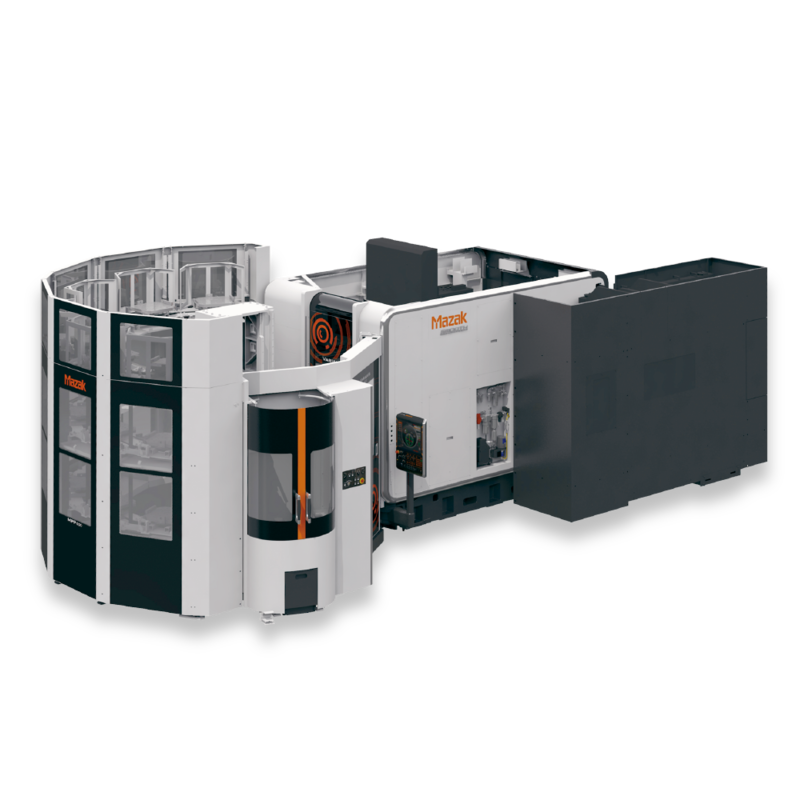 Mazak’s HCN-5000 vertical machining centre is able to process workpieces up to Ø800mm and 1000mm in height, and benefits from an optional 37kW 14,000rpm high torque spindle for processing difficult-to-cut materials such as titanium. The machine also offers rapid traverse rates of 60m/min and boasts a tool change time of just 2.6 seconds to minimise non-cutting time. The machine on display at EMO also features Mazak’s V30-C Superflow high pressure coolant system, which has seven programmable pressures steps operating up to 70 bar.